DO NOT USE GOOGLE MAPS DIRECTIONS OR THE MAP APP ON YOUR PHONE! At Cuddigan Law, we’re here to help you in your time of need. Whether that means assisting you with the long and tedious forms you’ve received from the Social Security Administration or VA, or representing you in your disability hearing, you can rely on the decades of combined experience that our attorneys are able to offer. Give us a call today at 402-933-5405 for a free case evaluation, or to schedule an in-person appointment with a disability lawyer at our Omaha headquarters. Effective April 28, 2016, we've moved to 10855 West Dodge Road #100, Omaha, NE 68154. 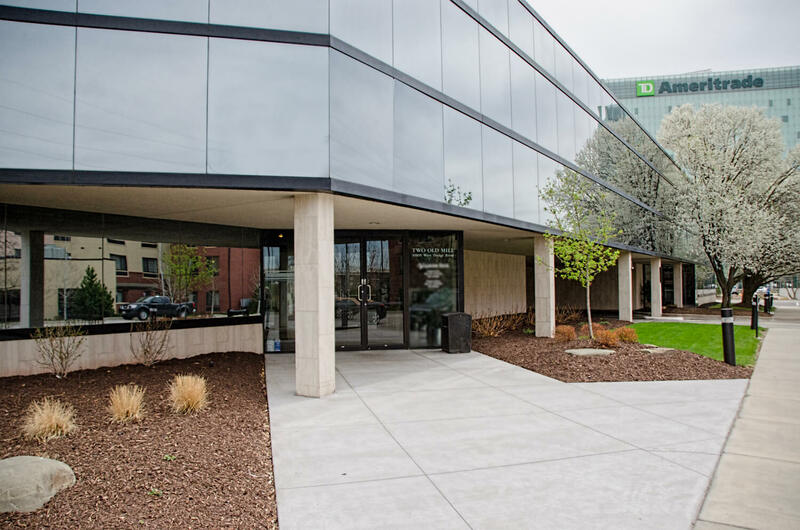 Our new office is located near the Social Security district office in the Old Mill area of Omaha, right off of Dodge Street. Our phone number and email addresses are unchanged. An easy way to find us is from 114th & Dodge. If you look Southeast you will see the TD Ameritrade building (a big, multi-story, green building with their name near the top). Our office is in the first building north of TD Ameritrade. Take West Dodge Road (the street, not the expressway) to 114th Street. Go South on 114th Street about two blocks and turn right (east) onto Davenport Street. Follow Davenport Street which will merge into the West Dodge Frontage Road. Follow the West Dodge Frontage Road to 108th Avenue. Turn right onto 108th Avenue and you have arrived at our office building, 10855 West Dodge Road (at the corner of West Dodge Frontage Road and 108th Street). The entrance to our office is on the west side of the building on the ground floor.